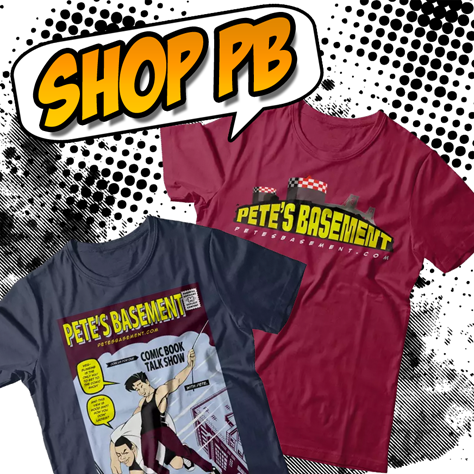 00:13:47 - Pete's Basement is always right! 00:55:38 - Roger visits Eddie and Kristen at Hi De Ho Comics in L.A.
01:08:15 - Question: Who took over the role of Catwoman? 01:08:53 - Shoutout to Matt on YouTube! 01:09:28 - Get some cookies from 8-Bit Bakeshop! 01:14:48 - Year of the Locust new album! 01:43:16 - Mylar or Polybag? 01:44:08 - BOMBS from the Shadow! 01:48:01 - BOMBS from the Shadow! 01:57:53 - Best Spider-man book out now? 02:04:15 - Support us with Patreon!